This conservation resource was created by Alicia Iachetta, Marley Lightfoot, Yu An Cheng, and Liwen (Linda) Ling. Madagascar is credited with being amongst some of the largest islands in the world and is located just southeast of Africa in the Indian Ocean. It is an island with incredible biodiversity, and unsurprisingly, the fisheries in Madagascar are a big contributor to Madagascar’s economy. Octopus fishery management in Madagascar provides relevant evidence of the economic benefits of local fisheries management and their ability to promote community engagement in broader marine management. It’s regime of periodic closures to octopus fishing lead to larger octopi, longer landings, better production, and higher incomes. Data on the species collected in Madagascar showed that Crustacea formed a very small component of the fishery, despite there being greater biodiversity in a larger number of edible species. Compared to other invertebrates, Crustacea species of octopus are very sparse; but because of their commercial value, they continue to be grossly exported. The growing concern for overexploitation has increased over the last few years. This is due to the male octopi being hunted before they reach reproductive age, whereas the females tend to occupy deeper ocean habitats. Due to climate change, as well as over exploitation, the already delicate marine ecosystem of Madagascar has gone into a dangerous state. Besides these, local fisherman also used Maminta (line fishing), nylon fishing (Talirano), which was introduced in the 50s, and cotton cord fishing (Foly). Nowadays, the locals still use a more traditional approach to fishing. By using hand made tools and techniques passed on through generations, Madagascar still remains a very traditional and ritualistic country, in regards to fishing and more. Research in recent years has gotten considerably better. With the efforts of the IH.SM, and the growing concern for the octopus fishing activities in Madagascar, people have been more interested than ever before to research the humble octopus. Fishing represents a large part of Madagascar's economy. With most of the population (78%) working in a declining agriculture industry, fishing offers an opportunity for locals to make ends meet. The fishing industry is used to stimulate the countries economy, improve the ocean water quality, and increase the wages if the fishermen and women working in the industry. The fishing industry is not as developed as it could be. The east coast off Madagascar is occupied by storms and has an absence of harbours, which limits the areas of fishing that could be done. 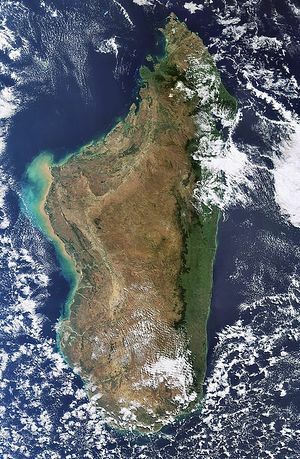 Madagascar is the fourth largest island in the world, with a land area of 587,041 km², and a coastline of 4,828 km. It lies in the Indian ocean, off of the coast of southwestern Africa. The island can be divided into five geographical areas: the Tsarantanana Massif in the north, the east coast, the central highlands, the west coast, and the southwest. It is often referred to as the "Great Red Island" because of the red soils, which are generally poor for agriculture. There are large fisheries in the northern (Tsarantanana Massif) and southwestern parts of Madagascar. The traditional octopus fishery in the north part of Madagascar is more of a subsistence fishery because almost the whole population is employed in agriculture, and fishing is done only occasionally. However, the southern part of Madagascar relies heavily on the fisheries for work and for the economic benefits. The fishing season runs from March 15 - January 15 each year. Because of the heat and lack of extreme temperature fluctuations, there is a longer fishing season compared to other climates. However, for octopus fishing, there are peaks and drops of breeding times throughout the year. Locals use monitoring technology to calculate these peaks, knowing that there is a five month gap between peaks. While waiting for the next peak in octopus population, the fishers concentrate on other species such as crabs, lobsters, and other fish. Octopus fisheries exist in the traditional sector. The traditional fishing is responsible for 50% of the total marine fish catch, because most of the fishing is done by families that pass knowledge on to the next generations. Most of the catches however (about 95%) goes to local markets. When it comes to Artisanal fisheries, fisherman use motorized boats with engines that are not allowed to exceed over 50 horsepower. These fisheries are generally smaller in nature, use traditional fishing techniques, and are vital to livelihoods and food security for Madagascar. Although this method is more advanced than those of traditional fisheries, it is still archaic in nature, and does not pose as much of a threat to marine life. Industrial fisheries are characterized by boats powered by engines that exceed 50 hp, and although was once a fleeting place for export and trade, has seen a rapid decline in the past few years, due to the inflation of fee charges. Madagascar uses this type of fishery the least due to the cost of maintaining the boats and equipment. Sport fisheries are also known as "recreational fishing". Recreational fishing is fishing for pleasure, and not for economic benefit. Madagascar has designated areas for locals who wish to fish for a leisurely activity. Fish caught in this area must be returned immediately once caught, and b=may not be taken for consumption of economic benefit. These fisheries exist for the purpose of scientific research and data collection. They are used to collect data on population size, food availability, pH of the water, and overall health of the reef of body of water in question. These fisheries exist all over the world, and are constantly collecting data on the health of the world's marine ecosystems. Madagascar concentrates less on these fisheries because they do not produce as much economic benefit as other fisheries such as artisanal or traditional do. The traditional fishing sector employs approximately 60,000 fishers, using over 62,000 canoes. The workers are extremely efficient, and as a result, traditional fishing produces 50% of the total marine fish catches. The government of Madagascar is very keen on expanding the fishing sector. There are many expansion opportunities because there are lakes and coastlines still not being fished on, fish such as tuna are not being fished to the fullest potential, and the industry could be tripled in the next ten years. This expansion would mean more jobs for the quickly growing population, which would then ameliorate the decreasing economy of Madagascar. Although the coastal villages are not as technologically advanced as other parts of the world, fishermen use technology to monitor the octopi populations. Each year, there are two peaks in octopus settlement in the reefs. In between these peaks is a five-month period where the fisheries close because there are not enough octopi to make significant harvests. By using monitoring equipment, the exact time in which the peaks occur help the fisheries take advantage and reap the benefits of the reefs before the closing season. Even though fishing has been a regulated staple in Madagascar since the 1920's, there were no management policies until 1973, when the issue of licences for fishing vessels came to be. This has little impact on traditional fishing, because they either fish by hand, or by hand made canoes. The life of an octopus starts when they hatch from their eggs. Once they hatch near their mother, they are considered larvae and waste no time swimming upwards. Once they hit the clouds of plankton near the surface, they immediately eat up, and because their bodies are extremely efficient at creating body mass, they grow very rapidly. Males and females develop similarly until the males develop a hectocotylus, which the use to fertilize eggs. Once they mature, they start looking for mates. Mating can be competitive because there are twice as many males as females. If a male is trying to ward another male away, it will either flash its colours to warn the other male, or they might wrestle until one of them retreats. Once the male has found a mate, he either gives the female one of his arms containing sperm, or by placing the hectocotylus into the female. After doing this, the male dies a few months later. Contrarily, the female will stay and nurture the thousands of eggs by cleaning them. Once the eggs hatch, the female will die, leaving the hatchlings to fend for themselves. Of the thousands of eggs, very few of the offspring will survive. The harvesting is done primarily by local villagers and families living in the coastal villages. The hot arid climate, limited agricultural opportunities, and better marketing opportunities have encouraged people to turn to fishing for work. Mihaky (fishing on foot) is practised by children and women who seldom use the pirogue, and only use it to cross the lagoon. Mitino (fishing in pirogue) is practised only by the men. They use the harpoon from the vessel, and can be effective if targeting is done well. Maniriky (fishing by diving) is a special practise done by the men, with the use of air masks and tubes to swim and manually catch the fish. Other organisms such as lobsters, crabs, and algae are also fished, but fishing octopi is the biggest target due to the return in profit. It takes lots of skill and years of learning how to handle the creature, and where exactly to look for them. There are various actors - both local and international - currently involved in the fisheries. These actors (which are talked about in more detail below) include: governments, international companies and organizations, local fishermen and fishing communities, and universities. These various groups work together to help Madagascar reach sustainable management goals and have had huge impacts on the lives of local people as well as the conservation of the octopi being hunted. Fishery monitoring control and surveillance (CSP): enforce regulations in fishing and aquaculture sanitary competent authority (VO): quality control of fishery products and hygiene and health inspection of exporting fishery products+National Aquaculture and Fisheries Development Fund (AMPA): from fishing agreement and rent and collection of licenses. To increase export revenues, improve food security, incomes to fishermen and their living conditions and job creation. provide many resources and data in many sectors, such as: production sector, post-harvest sector, socio-economic contribution of the fishery sector, trends, issues and development, and institutional and legal framework. Recently, a study in marine management conducted by Blue Ventures scientists took place in Madagascar (southwest of the island) that required locals to put aside certain areas used for fishing for temporary closures to octopus fishing. For quite some time, octopus fisheries have been the main source of income for the island, and the people relied heavily on their fishing practices to sustain their lives. However, thanks to the commercial fishing industry, the supply of octopi available have depleted. This is troublesome due to the heavy reliance the locals have on this marine life and their standards of living are at stake if the commercial fishing industry continues to exploit the octopi and destroy their habitat (the reef). So what does this mean for the local fishermen and communities? Since the study has been put in place, there was no evidence of decline in income following the closures, and the scientists at Blue Ventures even saw “$1 worth of octopus left in the closure sites [grow] to $1.81 by the end of the closure period.” However, following the closures, the villages that saw a drastic increase in illegal poaching had fewer economic gains. A quote from a local fisherman, Velvetine, states that “before [they] started doing open closures, [they] were only catching two or three octopus a day, and some days [they] wouldn’t catch any at all…With the closures [they] make a small sacrifice, but [they] can still glean on other reefs,” She also went on to state that she has more money for food and her family. Local and international universities initiate projects to analyze the current octopus fishery situation and contribute to find the possibilities of economic improvement of the fishery market. One example is the model built by Arnason described the profitability and the stock state of the octopus fishery, and the simulation results suggest that the actually fishing rate is three times over the sustainable amount and regulations are needed . Despite having these educational institutions (among other minor schools), the University of Toliara is the only school that offers programs on fishing. However, the program is known worldwide, and provides excellent education and expert knowledge on all aspects of fishing. Fisheries using traditional methods must seek the authorization of the Province Executive Committee President, and are obligated to report the fishing, collection, and sales statistics to the local fishing administration on a monthly basis. Currently, “80% of the total catch in southwest Madagascar (around 600 tonnes in 2014” is exported by two “Toliara-based seafood companies.” According to the Marine Stewardship Council (MSC), catches are also sold to “local collectors stationed on beaches who are then responsible for transporting catches to Toilara.” The MSC and Blue Ventures are currently working together to try to certify the southwest of Madagascar under their board and are developing legal framework to support the fisheries management and conservation. Thanks to the intervention of various actors and organizations, the life of the fishing communities in Madagascar have seen a huge improvement. Organizations like Blue Ventures and the MSC (as well as the other actors mentioned above) have worked to improve the standard of living for the locals, as well as working towards sustainability and conservation. All the help received by the communities has been greatly appreciated and they will continue to work with the various actors in order to conserve their main source of export and improve their lives. Winner Madagascar’s first community-run marine protected area. ]]With the increase in industrial fisheries, increase in demand and the growth of world's population, the fishery in Madagascar is facing problems such as overfishing in the lack of management, bleaching of coral reefs due to human contribution of carbon dioxide and the pressure on local communities due to competitive market. Coral reef is the most diverse habitat for abundance of species however according to research, by 2050 all coral reefs on earth would disappear. The main threat to the bleaching of coral beefs is the contribution of carbon from human in the practice of burning of fossil fuels which increases the temperature and the decrease in pH of the ocean. The continuing of bleaching of the coral reefs is directly related to the lives of reef-dwelling octopus and the livelihoods of many people. Blue Ventures last year in 2016 did a survey on the health of reef in Nosy Andragnambala, Madagascar and found sadly 70% of reefs were bleached. If the burning of fossil fuels do not decrease what will happen to the reefs, octopus, ecosystem, and the livelihoods of people? Layering Perspectives: Additional Impacts and Implications? What other costs and/or implications become apparent when the octopus fishery in Madagascar is viewed through the lens of other disciplines and professions? What special expertise, resources, or theoretical orientations might others bring to help us better understand the costs and/or implications associated with the octopus fishery in Madagascar? With the soaring international demand for seafood and the rising public awareness on sustainable fishery, in order to maintain or even improve the octopus fishery in Madagascar various remedial actions can be taken. The pressure from the general public, consumers and markets drives the use of eco-certification schemes, like the Marine Stewardship Council’s ecolabel. Consequently, many environmental organizations are working with fisheries to improve their management in a process known as a Fishery Improvement Project, or FIP. On its way approaching the FIP, Madagascar receive a broad spectrum of benefits include increasing level of local knowledge on octopus fishery, tighter connection between stakeholders, and enhanced community-based regulation to stop destructive fishing practices. In order to deal with the problem of lacking historical data record on fishery, international organization such as Blue Ventures works with the local fishermen to adopt new techniques of data collection by using tablets and smartphones to obtain octopus stock data and perform other estimations base on the data. In this section, we invite scholars and students to widen the scope of possible solutions to mitigate challenges associated with the octopus fishery industry in Madagascar. The fisheries in Madagascar not only function as a place of economic profit for the local people and international companies, but are also a huge part of the lives and culture of the people of Madagascar. Fishing communities depend on one another and the state of the fisheries in order to sustain their lives on the island. This is one of the many reasons why it is so important to work towards sustainability and conservation, because when you get down to it, protecting areas like the fisheries and other designated areas is about more than just protecting the environment, is about protecting the people who rely on the environment as well; the people who call it home. We hope that this page helped to educate you about what is happening in world, even if it seems like it is so far away from home, because conservation is about greatest good for the greatest number, for the longest time, and whether that starts with you at home, or raising awareness for something in another country, we hope that this page helped to educate you and encourage you to take action about what is happening today. Whether it's fisheries in Madagascar or recycling at home, every little bit helps. Thank you for taking the time to read our page, and we hope that this got you thinking about your role in conservation. ↑ Sinixt Nation. Fishing - Traditional Fisheries Management Practices. Retrieved on April 4, 2017 from http://sinixtnation.org/content/fishing-traditional-fisheries-management-practices. 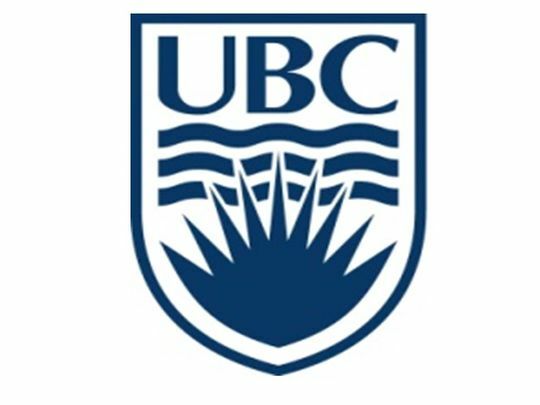 ↑ 23.023.1 >University of British Columbia. "Madagascar marine resources plundered by international seafood markets." ScienceDaily. ScienceDaily, 21 June 2011. Retrieved April 06, 2017, from <www.sciencedaily.com/releases/2011/06/110617110624.htm>. ↑ 24.024.124.2 >TAMPOLOVE. (2013). Slowing the plunder of Madagascar's fish stocks. Retrieved April 06, 2017, from http://www.irinnews.org/report/98672/slowing-plunder-madagascar%E2%80%99s-fish-stocks.